When you get to the Transportation Center you can access the park from the monorail or by taking a boat ride. The fastest way is by the monorail but the boat ride is very enjoyable. Try them both to see which one you would prefer. If you book a reservation for breakfast at 8am at either Crystal Palace or Cinderella’s Royal Table you get to enter the park earlier than the other guests with regular tickets. Take this chance to get a picture of Magic Kingdom’s famous castle without anyone else in the picture. Be sure not to miss the Magic Kingdom Welcome Show which starts about 15 minutes before the park opens and goes on for about 8 minutes. This show takes place at the front of the park. If you head to City Hall on Main Street USA you can get a free button. These buttons say many things like Happy Birthday, first visit, Happy Anniversary, Just Married, I’m Celebrating and many more. When entering the park it’s best to start going through the park by starting on the left side or straight back to Fantasyland since most people start the park in Tomorrowland which is on the right. By using this strategy you will get to the rides that have the longest lines by the end of the day. Going straight to Fantasyland right when it opens get really throughout the day and most of the rides are slow moving for the little ones. When working your way through the park grab FastPasses for rides that you would like to come back to. This will make your wait shorter when you come back during the time on the FastPass ticket. Looking to get picture with your favorite Disney World characters? Magic Kingdom’s meet and greet lines are longer than any of the other parks lines. If your child HAS to meet their favorite character then I suggest going early in the morning or during the parades. The fireworks show is visible from all over the park. In order to have the bet experience you need to be somewhere on Main Street facing the castle to see the entire show. Tuesday July 7th 2014 thousands of Harry Potter fans lined up to view Universal Studios Orlando brand new Harry Potter addition Diagon Alley. Universal opened it gates at 5:45am to begin letting in excited Harry Potter fans. Fans waited about 2 hours in get into Diagon Alley. Many poured into the lie to board Harry Potter and the Escape From Gringotts, Diagon Alley's signature new ride. By noon the rides wait reach 450 minutes but many Harry Potter fans said it was well worth the wait. Harry Potter and the Escape From Gringotts ride is said to be a mix of some of Universal Studios most popular rides such as The Mummy, Transformers, and Spider-Man. The 3D Gingotts ride has roller coaster like maneuvers with plenty of on-screen action feature many characters from the Harry Potter series. Fans enjoy being around others who were huge Harry Potter fans just like them. 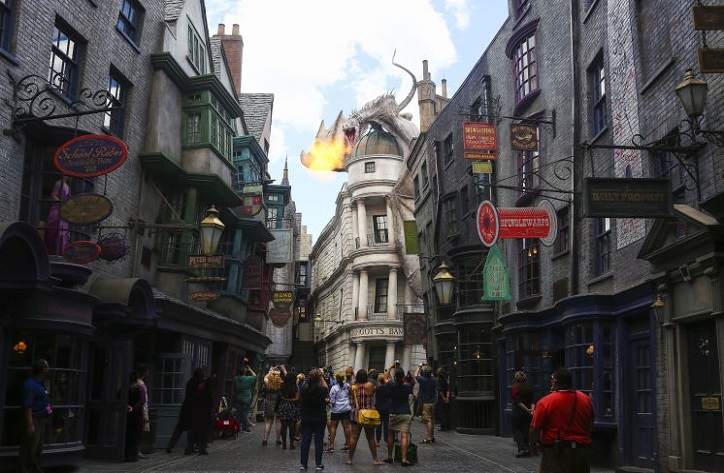 Check out Universal Studios newest addition Diagon Alley next time you're visiting Orlando. -Ever noticed a scent on Main Street USA? There are vents that pump a vanilla scent into the air. -Remember the Hall of Presidents attraction? Well they didn't just throw away those mannequins they put them in Spaceship Earth at Epcot. Roosevelt is now a senator in Rome and Adams is a monk. -There is a hotel room located in the actually Cinderella's castle you can rent it for a hefty price. -Disneyland has their own on site jail as a hold cell for out of line guests. -Seen all the skeletons on The Pirates of the Caribbean ride? Some of them are actually real! -Like gum? You will notice that Disney doesn't sell gum in their parks to keep the ground clean, the ban idea came from Walt himself. -The brown pavement in Liberty Square is to signify the colonial streets known sewage problems. -Disney characters are encouraged to focus their attention on children and are told not to give adults high fives. -Any cast member who sees a sad child can replace a dropped ice cream or give out gifts for free to any sad child. -Remember in the song Be Our Guest from Beauty and the Beast the candle character tells Belle to try the grey stuff and she says it's delicious. At the Be Our Guest restaurant you can actually order the grey stuff. -Even though we know Disney love Mickey Mouse they aren’t fond of actually mice. They have over 210 feral cats who control the mice population. 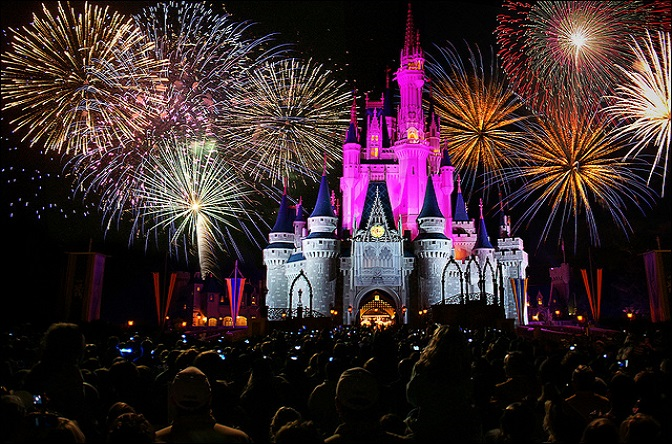 -Disney World is the second highest purchaser of explosives in the US coming just behind the US Military. -Doritos were actually invented at Disneyland when they received stale tortillas and decided to fry and serve them as chips. -All park cast members are instructed to point with 2 or more fingers since pointing with one to some is insulting. Universal Studios Orlando just announced the plans to open their newest park in 2017 Volcano Bay water park. They have already started breaking ground which explains the construction off of Turkey Lake Road. This new park will make Universal Orlando a 3 park destination. The theme for Volcano Bay is a relaxing island setting. 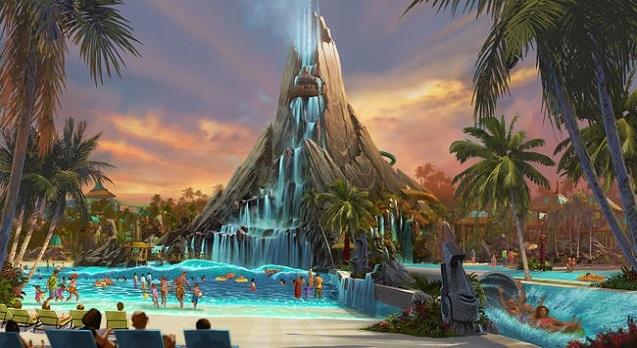 The main center piece will be the large volcano with water flowing down into a large wave pool. There will be many unique attractions, beaches, viewing areas, and lots of slides. Universal hopes to change the way you think about water parks with this new addition. 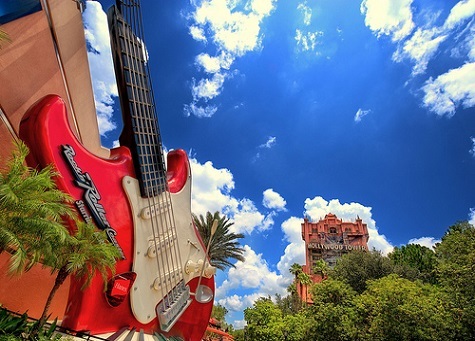 This park will provide entertainment for every family member on your Orlando Resort Vacation Package. Epcot can be reached by monorail, bus, car, or boat. Boat access is exclusively used by some of the Walt Disney World Resorts. Make sure you prepare to do a lot of walking, Epcot is a very large park. Be sure to hit the World Showcase when it opens at 11am because there won’t be a huge crowd and compared to later in the day. Then make your way back up to the front of the park and enjoy those ride with less of a wait time since most people will be making their way around the world. Grab FastPasses for the rides in the front that have them on your way back to the World Showcase. Stop and find a Kidcot Fun Stop when you get to the World Showcase. Here you can pick up a free cardboard bear on a paddle that the kids can decorate as they please. There is a station located in every country where the kids can get stamps for their paddles. Since there is a shortage of rides in the World Showcase this is a great activity for the kids to enjoy. Check out the indoor waiting area located at Mission Space. It has a great play area and is air conditioned so it’s a good way to get out of the heat for a bit. Epcot is a great place to meet your favorite characters because the lines are much shorter than at Magic Kingdom. The best area to around the World Showcase where you can find Mulan, Jasmine, Minnie, and many more. There are many quick service restaurants located in the different countries around the World Showcase as well as sit down dining experiences. It’s fun to try different food from all around the world so make sure to eat and drink while visiting this park. Near the front of the park you are able to test out Coke products from all around the world for free. Just bring a cup or you can buy one and taste the many flavors available. This park can be accessed by bus, car or boat. Some Disney resorts use water transportation only to get to Hollywood Studios. Make sure your use FastPass, some of the busiest rides in the park are: Tower of Terror, Rockin Roller Coaster, and Toy Story Mania. These usually sell out by noon so book them quick! If you get to the park early head over and hit Rockin Roller Coaster and then Tower of Terror and you should miss the lines. For good seating for Fantasmic you can get a dining package which will give you preferred seating. Many of the restaurants in the park offer this feature. There is chance you could get wet on the Studio Backlot Tour so make sure you sit on the right hand side when you get on the trams. Rainy day? This is a great park to visit while it’s rainy because most of the attraction are inside as well as the lines to wait for the rides. Park Avenue: Home to one of a kind family owned boutiques and well known shops, world class restaurants, as well as renowned art collections in museums located in Downtown Winter Park. Farmer Markets: Weekly in Winter Park, Lake Eola, and Celebration. Universal CityWalk and Hotels: While getting into the theme parks may cost a bit you can visit Universal’s Citywalk just paying the parking fee. 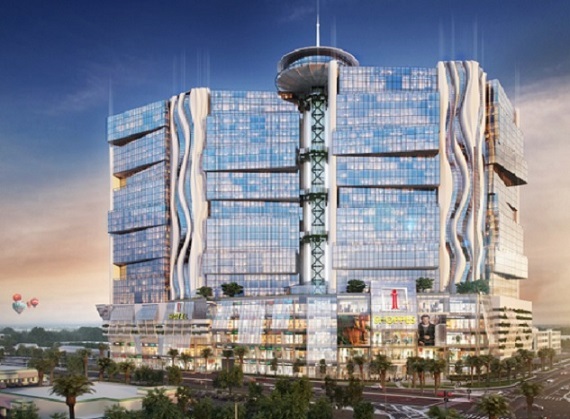 With a mix of nightclubs, shopping, and restaurants in their multi-level entertainment complex. You may also take a boat to explore Universal’s 3 on site hotels. Downtown Disney: Check out the many shops and restaurants here. Home of Disney Quest, Cirque Du Soleil, the House of Blues, Rainforest Café, the Lego Imagination Center, and much more. Gaylord Palms: An adventure in itself with 1,600 room resort with 3 huge, completely enclosed atriums features some of Florida’s most interesting destinations, such as the Everglades, St. Augustine, and Key West. Celebration: A magical Disney-made town with beautiful houses and well groomed yards. Old Town: Located in Kissimmee visit this outdoor shopping with one of a kind shops. Mall at Millenia: An upscale shopping mall with a huge selection of international stores is a must stop for you shoppers. The park is only accessible through its own parking lot by car or bus. There are many rides that offer FastPass the busiest rides are: Expedition Everest, Dinosaur and Kali River Rapids. Make sure you ride the Kilimanjaro Safari. This attraction is unlike anything you’ve ever experienced at Disney. It’s just like being on a safari ride in Africa with lots of different animals to see. If you are coming with older kids you may want to book the Wild Africa Trek. Part of the attraction is a ropes course and you also get to enjoy the safari. The Boneyard is a great playground for the kids to run around in. They can dig for fossils, climb, and slide. If you ride the Kali River Rapid plan on getting soaked so protect item that can’t get wet. There is a character breakfast at Tusker House Restaurant and is one of the best. If you get there early you will be one of the first in the ride lines once the park opens. 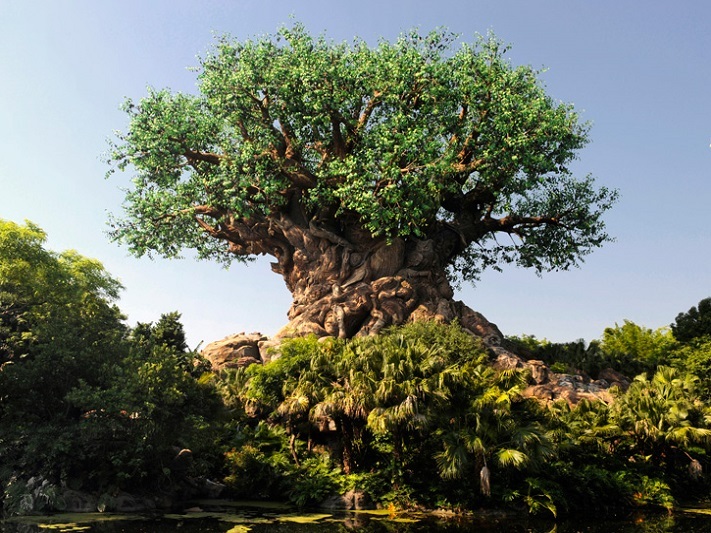 Reserve some time to check out the Tree of Life which is the center piece of Animal Kingdom. It’s really incredible and has over 1800 different animals carved throughout the trunk. The park parade begins and ends at the entrance of the marketplace in Africa. Coming in 2016, Orlando will be home to the world's tallest roller coast The Skyscraper and Skyplex indoor entertainment complex located on International Drive. The skyscraper will be 570 feet tall and feature the very first Polercoaster ever built. On a nearly mile track, each 8 passenger vehicle will snake around Skyplex's large tower then will loop and spiral the Skyplex complex. The ride will take 3 minutes and will travel up to 65 mph. The attraction has capacity of 1000 people per hour. There will be an option to purchase a power card which will cost about $20 for unlimited rides. Construction is set to begin in 2015 and will be completed by the following year and estimated cost is $200 million to construct. 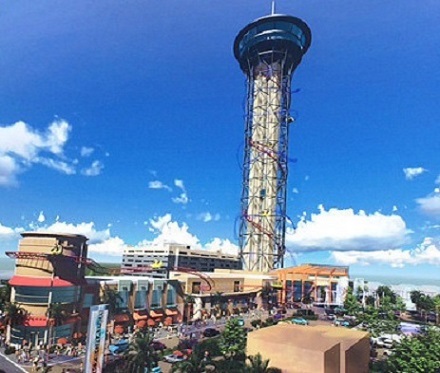 Both Skysraper and Skyplex will include restaurants, retail stores, and a tower with restaurant and viewing area. Once completed the tower will be Orlando's tallest structure. To get to the top you will ride a 55 story glass elevator. Make sure when you book your Orlando Disney Vacation Package to check out this attraction in 2016! The Orlando Eye once completed will stand 400 feet in the air. It will provide views of the Orlando theme parks (Walt Disney World, Universal Orlando, and SeaWorld), downtown Orlando and even on a clear day, the east coast of Florida including the Kennedy Space Center complex. It will contain 30 capsules which hold about 15 people in each one. The Eye will offer different experiences by day and night. The total ride time is expected to take 20 minutes from beginning to end. Before entering, riders will view a 4-D movie spotlighting Florida's top destinations. The 4-D may include wind, sprays, lighting effects, and smells. Each capsule has 2 A/C units, LED light that change colors, and a Bose sound system. The Orlando Eye weighs in at 3 million pounds. The wheel hub weighs over 180,000 pounds itself, more than a Boeing 737. It will take 150 40ft trailers to deliver all of the wheel components. The capsule glass coverings are crafted in Turkey. At the base of the Eye complex, guest will have access to the Sealife Aquarium which will feature over 5000 ocean creatures and the famed Madame Tussauds celebrity wax museum. Coming summer 2016 SeaWorld will open Orlando’s fastest, longest and tallest roller coaster. It will reach speeds of 72 MPH and reach heights of over 200 feet on a 4,750 foot track. 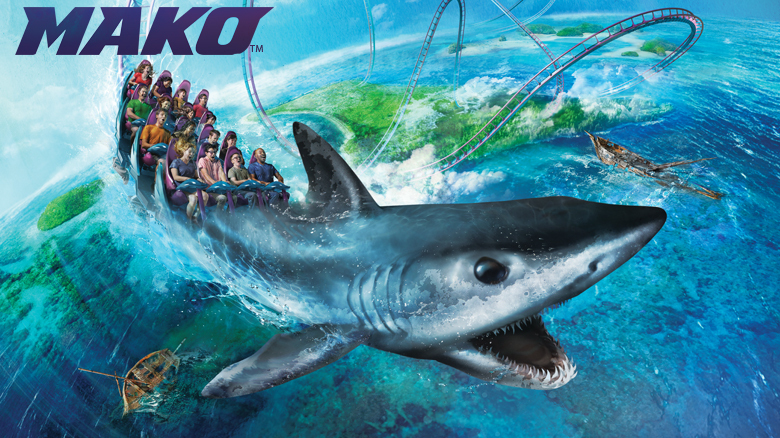 The coaster modeled after the Mako shark known to be one of the fastest in the world and has the ability to change courses fast and make jumps. There will be music playing all along the ride and will change as you go through different areas. This ride will be a hyper coaster with high speeds, large hills, and will give a sense of weightlessness on its tall drops. This new part to SeaWorld will be themed for sharks featuring many shark exhibits that will teach guests about these ocean creatures. This is a must see attraction on your Family’s Orlando Park Resort Vacation Package. New Disney World MagicBands are your key to a carefree Disney experience. These secure all in one devices allow you access the plans and vacation choices you made with your My Disney Experience. MagicBands are brightly colored, waterproof bracelets give you access to easily touch sensors located around Disney World's parks called touch points. These new MagicBands will make your load when going to the parks much lighter for your vacation. 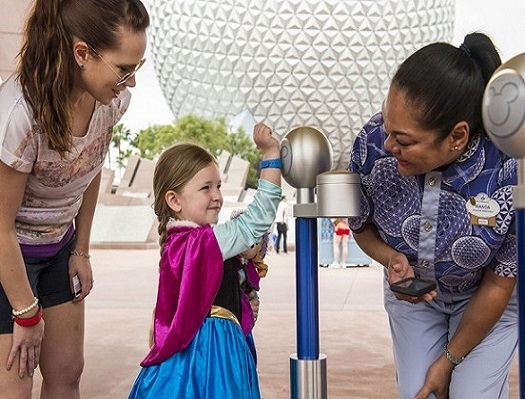 MagicBands have multiple features: Allow you to enter theme and water parks, check in at FastPass+ locations, Connect Disney Photo Pass images direct to your account, and charge purchases done inside Disney World parks. You are able to get your MagicBands at Disney World theme parks and Downtown Disney. Make sure to keep your MagicBand handy on your Walt Disney World Resort Vacation Package while visiting Orlando with your family! 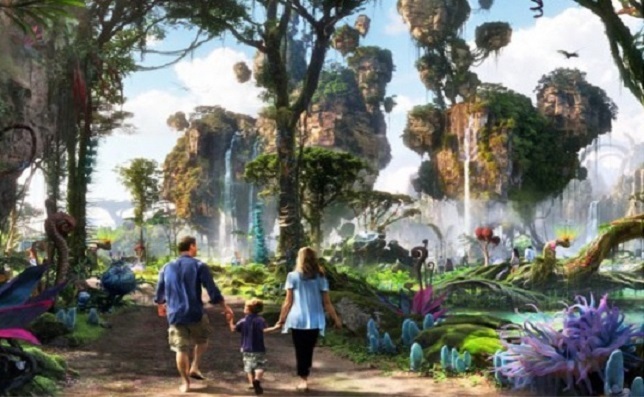 Scheduled to open in 2017, Walt Disney's newest and largest expansion is the land of Pandora which will be located inside of Disney's 15 year old Animal Kingdom. A few attractions will be available inside the land of Pandora including the banshee flying ride. The land itself is truly a attraction on its own. It's going to be guest interactive. It's going to give guests the feeling of actually being in another world. With the addition of Avatar, Animal Kingdom is adding a spectacular new world and exciting full array of attractions unlike any Disney's guest have experienced before. Animal Kingdom is the best fit for this project being that it is created to give park guests the ability to experience the worlds of animals and nature real and mythical in many new ways. Once completed the Avatar inspired land will be a transformational experience that you'll remember for the rest of your life. Come to the Magic Kingdom and dress up in your favorite costume and trick or treat throughout the park. This event is running select nights from September 1 to October 31, 2014. You'll even get to see your favorite Disney characters dressed in their own Halloween costumes! The tone of this event is not-so-scary so children of all ages will enjoy. This requires a separate ticket other than regular park admission. At Universal Studios Florida your worst nightmares take shape. Running select nights from September 19 to November 1, 2014 Universal transforms into Halloween Horror Nights after dark. With all new haunted houses, scary street characters, and amazing live shows, and much much more (event is not recommended for children under 13 years). The best way to end your day on you Orlando family vacation package. 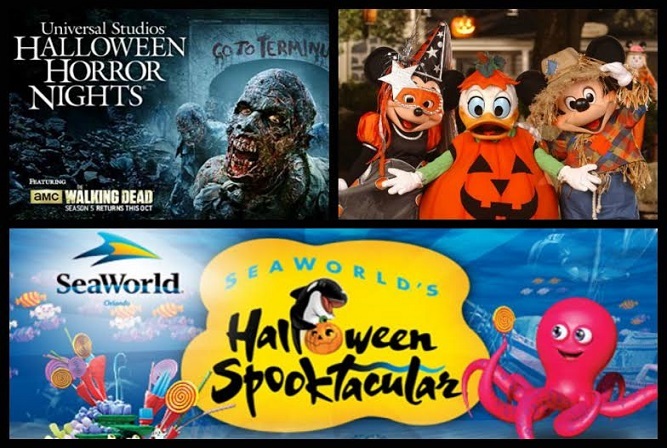 Come to SeaWorld Orlando every weekend in October for some silly spooky fun. This even takes place from 12-8pm on weekends in the month of October and is included with regular park admission. Guests can wear costumes but must be within the guidelines. Guest will enjoy an underwater fantasy day with trick or treating, sea-themed arts and crafts, and dancing with sea fish and fairies. Don't miss out on this fun great for all ages! Spring is in full effect here in Orlando Florida with Epcot hosting their 22nd annual International Flower and Garden Festival from March 4 to May 17, 2015. 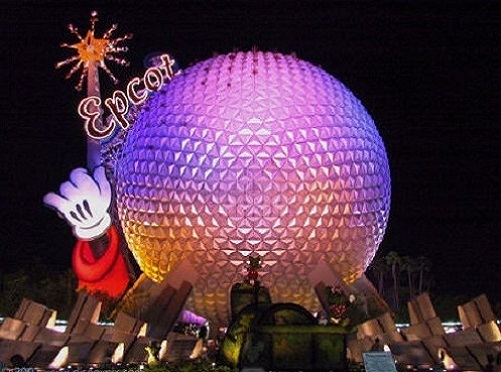 This event takes your Epcot experience to the next level on your Disney World Orlando Vacation Package. With over 95 character topiaries throughout the park you are sure to see your favorite Disney World characters displayed. There are over 68,000 bedding plants spread through the Future World and 230 small gardens floating out in the water. There will be many outdoor kitchens which will provide a taste of each country as you make your way around the World Showcase. Be sure to check out the cooking demonstrations that are offered on the weekends. This 15 minute demonstration will show guests how to prepare one of the one of a kid dishes available at the festival. Most of these experiences are included with your regular Epcot theme park tickets. Book your family’s Disney World Resort Vacation Rental today and visit this wonderful limited time attraction! 1. Orlando's Morse Museum of American Art: Has the largest collection of lamps, glass windows, art glass, pottery, and jewelry by Louis Comfort Tiffany. 2. Harry P. Leu Gardens: A botanical garden in the heart of downtown Orlando. The have 1,000 rose bushes, a citrus grove, and a butterfly garden. 3. Great Wine Bars: On Park Ave. in Winter Park The Alfond Inn offers 157 handpicks wines in their Wine Room. Carmel Cafe & Wine Bar serves more than 50 vintages paired with Mediterranean cuisine. Last but not least the Eola Wine Company has 70 wines sold by the glass which you can pair with appetizers. 4. Kayak at Shingle Creek Park: Forget all those faux animals at the theme parks and head over to the Everglades. Here you can spot actual otters, manatees, alligators, bald eagles and much much more. 5. Amway Center: Check out the Orlando Magic Orlando's NBA basketball team. Basketball season runs from October to June. 6. Premiere Golfing: Orlando is home to the Golf Channel, Tiger Woods, and over 175 different golf courses. Top picks are Bay Hill Club & Lodge, Grand Cypress Resort, and Waldorf Astoria Club. 7. 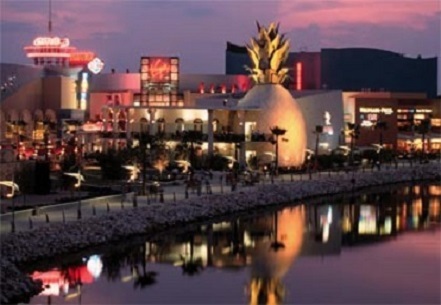 Shopping Centers: Be sure to hit out 2 major upscale shopping malls the Mall at Millennia and The Florida Mall. If you're a bargain hunter look out for our outlet centers the Orlando Premium Outlets International Drive and Orlando Premium Outlets Vineland Ave.
8. Hip Neighborhoods: Dine among modern art at Santiago's Bodega located in Ivanhoe Village. Enjoy the final days of Prohibition at Cask & Larder located downtown Winter Park. 9. Organic Beer: The Orlando Brewing Company has over 25 lagers, ales, and seasonal microbrews on tap. Located near downtown and offers free tours. 10. World Class Spas: Looking for a little R&R then check out some of Orlando's world class spas at the Waldorf Astoria Orlando, Ritz- Carlton Orlando Grande Lakes, and the Grand Bohemian Hotel. One thing you will notice on your Disney World Orlando Vacation Packages is one minute the sun will be shinning and the nest could be a full blown downpour. Here are some indoor family attractions to check out to keep you dry! 1. WonderWorks: An indoor interactive arcade your kids are sure to enjoy! 2. Whirly Dome: A combination of jia-alai, basketball, and hockey played while riding go-kart like cars. 3. M&M World Orlando: For anything and everything M&Ms. 4. Orlando Museum of Art: Looking for a little culture. Be sure to make this one of your stops. 5. Orlando Paintball: Florida's largest indoor paintball arena. With many different games find out who will be the last one standing. 6. Blue Man Group: Located at Universal Studios this is one show you do not want to miss. 7. I FLY Indoor skydiving: With this indoor skydiving simulator you get to skip jumping out of plane while still experiencing what it’s like to skydive. 8. Cirque Du Soleil: Enjoy this theater show unlike anything you have ever seen before. 9. 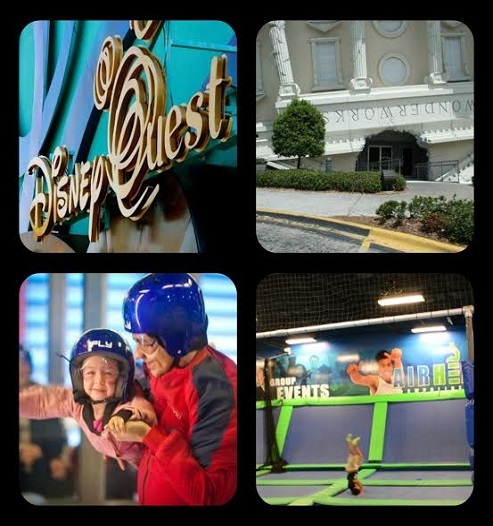 Disney Quest: 5 floors of video games, 3D encounters, and virtual worlds. 10. Splitsville: Bowl, eat, drink, and watch the game at this luxury bowling alley located at Downtown Disney. 11. Orlando Science Center: Home to many traveling exhibits. 12. Airhead Trampoline Arena: Hop on our gigantic trampolines and literally fly off the walls. 13. Dewey's Indoor Golf & Sports Bar: 11,000 square foot, high end sports grill with virtual golf simulators. 14. Orlando Comedy Clubs: There are many different local comedy shows to catch while in the Orlando area- SAK Comedy Lab, Bonkerz Comedy Club, and The Orlando Improv. 15. Hard Knocks: Not your average laser tag arena. This is the nation's first indoor combat simulation arena with 29,000 themed combat arenas. You will take missions which include defusing bombs, rescuing hostages, and much much more. 16. Game Bars: There are a few locations with a wide array of video games. Dave and Busters, BART, and Player 1 Video Game Bar. 17. Chocolate Kingdom: a factory adventure tour featuring an interactive journey that show how chocolate transforms from the bean into a chocolate bar. 18. Ice Skating: Ice skat while rocking out to your favorite tunes. 19. Grand Prix Orlando: Indoor go-karting with carts that can reach speeds of up to 50 mph! 20. Ripley's Believe It or Not! : Many unbelievable attraction await you. Where else do you have access to 6 of the world’s best theme parks? SeaWorld, Discovery Cove, Wet’n’Wild, Aquatica Waterpark, Universal Studios, and Islands of Adventure! Get a good laugh at the Orlando Improv Comedy Club. Visit the 32-lane bowling alley right in the heart of International Drive at the World Bowling Center. Visit Dave & Buster’s and eat, drink and play at their million dollar midway with loads of interactive and video games. Stop, have a drink and cool down at ICEBAR Orlando with bartenders serving drink from behind a bar made of ice. Take a look into the past at the Titanic-The Artifact Exhibition. Play championship golf year around. Glow in the dark putt putt golf at Putting Edge. Visit the upside down building and watch a 4=D movie at WonderWorks. Visit Havana for dinner at the Cuba Libre Restaurant and Rum Bar at Pointe Orlando. Get in touch with your inner pirate at the Pirate’s Dinner Adventure. Visit the world’s largest McDonald’s Play Place. Check out some of the world’s wonders at Ripley’s Believe it or Not. Get a bird’s eye view of I-Drive with Air Florida Helicopter Charters! Sing music classics at Howl at the Moon. Dine with the family at the world’s largest Hard Rock Café at Universal CityWalk. Visit Jimmy Buffet’s Margaritaville and have a cheeseburger in paradise. Get some retail therapy at the Orlando Premium Outlets! Catch the newest flicks at one of the many movie theaters. Stock up on your outdoor gear at the Bass Pro Shops Outdoor World. Ride a go-kart at Fun Spot America! Taste food from all over the world on I-Drive with over 150 restaurants- what you’re looking for is right around the corner! Solve a murder mystery at Sleuths Mystery Dinner Theater. 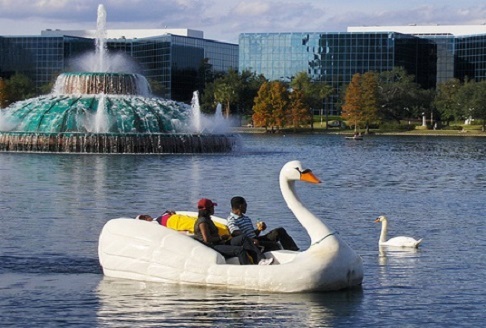 Have a trip you are sure to remember in Orlando’s Most Dynamic Destination! Holidays Around the World- Located in Epcot at Walt Disney World from November 28, 2014 to December 30, 2014, you will be able to celebrate many traditions of the season from all around the world. Listen to the story of Christmas which takes place 3 times each day. Mickey's Very Merry Christmas Party- Located in Magic Kingdom at Walt Disney World on select nights from November7, 2014 to December 19, 2014. The park hosts a Christmas party unlike you've ever seen. There is live entertainment, amazing firework show, and Christmas parade with none other than Mickey Mouse and Santa, along with a magical snowfall right on main street USA. 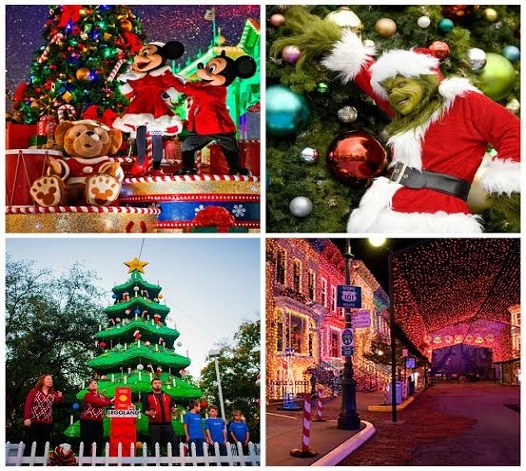 Osborne Family Spectacle of Dancing Lights- Located in Disney Hollywood Studios at Walt Disney World from November 7, 2014 to January 4, 2015 get ready to be amazed by millions of dancing lights perfectly synchronized to holiday music. Grinchmas- Located in Universal's Islands of Adventure from December 6, 2014 to January 3, 2015 the park will make Seuss Landing into a world of Grinchmas. Great for all ages with Christmas decor, live shows, and even a meet and greet with the Grinch! Macy's Holiday Parade- Located in Universal Studios from December 6, 2014 to January 3, 2015 watch as the streets fill with floats and balloons straight from Macy's Thanksgiving Day Parade in New York City. SeaWorld's Christmas Celebration- Located in SeaWorld Orlando on select nights from November 22, 2014 to December 31, 2014. Experience the Christmas celebration with special shows and rides. Check out Shamu's Christmas Miracles, Winter Wonderland on Ice, and the Polar Express Experience. Christmas Bricktacular- Located in LegoLand Florida on weekends in the month of December. Kids will be amazed by the 260,000 Lego brick Christmas tree, festive decorations, and daily visits by Santa Claus. 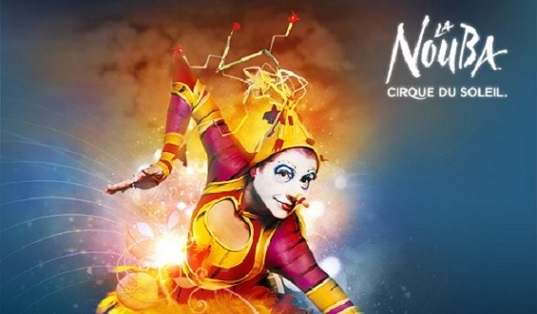 Makes sure not to miss this one of a kind Disney attraction Cirque Du Soleil’s La Nouba. Located at Downtown Disney’s West Side you will witness an international cast of performers. They perform many glorious feats of incredible strength and amazing beauty. “La Nouba” actually stands for “the party” or “live it up” in French. And these performers really know how to party. A contemporary circus performance featuring many acrobats, gymnasts, and others. There are over 65 performers from all over the globe who delight and mystify the audience with their daring acts of grace. Join the thousands of guests who leave in awe after witnessing the indescribable beauty of this performance, bringing home with them a once in a lifetime memory. 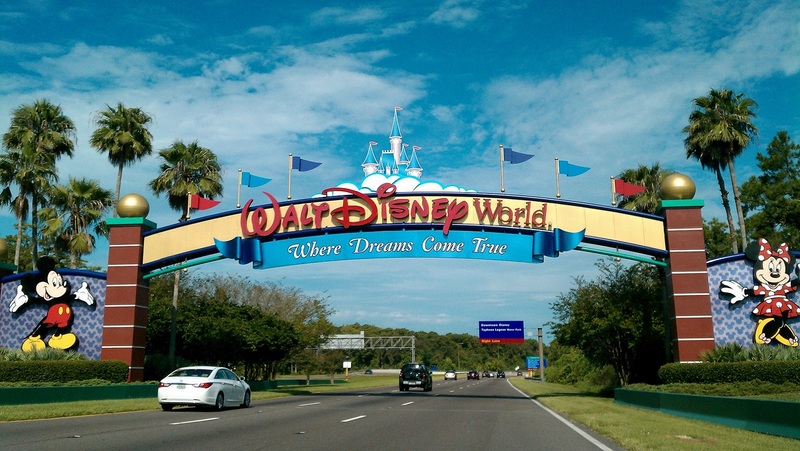 This is a must see on your Disney World Resort Vacation Package with your family. Coming Summer 2015 to The Florida Mall the new Crayola Experience. A new colorful family friendly experience will have 25 different hands on attractions. At the Crayola Experience Orlando many signature attractions already available to the public in the original Crayola Experience in Pennsylvania along with many new attractions that will be only be available at the Orlando location. Children will be able to create their own crayon with personalized wrappers and create their own coloring books with their picture on it. It will also feature a retail store where guests are able to purchase unique Crayola products only found at Crayola Experience. Be sure to make this one of your stops on your Disney World Family Vacation Package and pick your little artist up something they will remember for a lifetime. There are many options when it comes to character dining in Orlando. 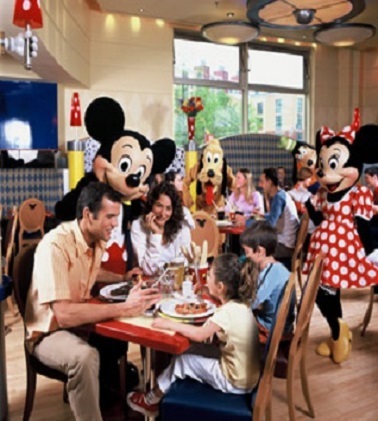 Dining guest have a meet and greet with their favorite characters over an amazing meal ranging from home style breakfasts to buffet dinners. It's very easy to find the best option for you family on you Orlando Vacation. Islands on Adventure Confisco Grille- Serves breakfast Thursday-Sunday from 9:00am to 10:30am meet your favorite Universal Characters. Nickelodeon Suites Resort- Serves breakfast daily where kids can meet their favorite Saturday morning cartoon characters. SeaWorld's Dine with Shamu- Get up close and personal with Shamu and friends while enjoying an amazing menu. SeaWorld Breakfast with Elmo- Breakfast buffet while visiting with your favorite Sesame Street characters. Disney's Animal Kingdom Donald's Safari Breakfast- Breakfast buffet at the Tusker House Restaurant. Serves breakfast daily 8:00am to 10:30am. Disney's Contemporary Resort Chef Mickey- Breakfast buffet hosted by Mickey, Goofy, Chip and Dale. Disney's Fantasyland Dining at Cinderella's Royal Table- Dine in Cinderella's castle and meet some of Disney's Princesses. Disney's Hollywood Studios The Hollywood & Vine Restaurant- Join some of your favorite Playhouse Disney Characters at this breakfast from 8:00am to 11:20am or lunch buffet from 11:40am to 2:25pm. Disney's Buffet with Character- A favorite for the kids because it has all of their favorite goodies plus they get to visit with Winnie the Pooh and friends. Breakfast from 8:00am to 10:30am, lunch from 11:30am to 3:00pm, and dinner begins at 4:00pm and runs till the park closes. TripAdvisor has released its rankings of the best theme park from around the world. The top pick in this category is none other than Orlando’s Discovery Cove. 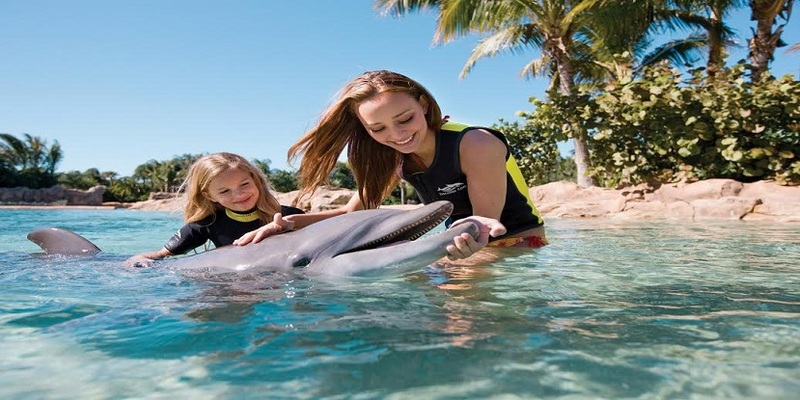 A one of a kind attraction in the heart of Orlando where visitors get up close and personal with dolphins, can snorkel with tropical fish and stingrays, interact with exotic birds and land mammals. Interactions with the dolphins is with a group of about 8 people and a single dolphin. Guests are shown how to hand signal and use positive reinforcement to have dolphins perform behaviors before having the one-on-one swim. The package includes: a 30-minute session, deep water dolphin swim session, photo opportunities, time with trainers and a tour. Other attractions at Discovery Cove include a coral reef, which guest are given snorkeling equipment to observe and interact with thousands of tropical fish and sting rays. There is also a free flight aviary which contains over 260 different tropical birds. This is a top attraction to make sure you and your family visit while on you Orlando Resort Vacation Package here in Orlando. Feel the power of the force with Star Wars weekends running every Friday, Saturday, and Sunday from May 15-June 14, 2015. 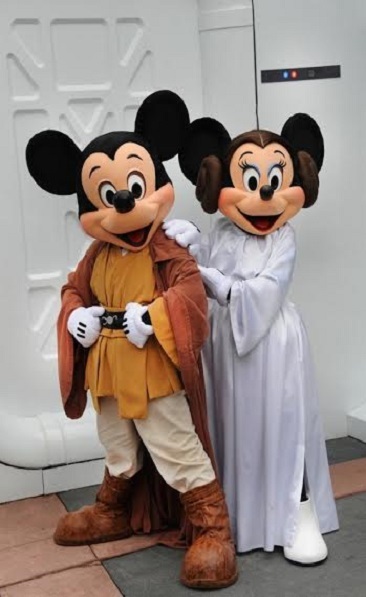 See your favorite Star Wars celebrities and characters for exciting presentations and special shows that take you to a galaxy far, far away. You will have the opportunity to meet and get autographs from actual Star Wars actors who played you favorite characters. Kids under 12 can touch up their lightsaber skills at the Jedi Training Academy as they prepare to battle Darth Vader himself! Make sure to check out the character dining experiences with all of your favorite Star Wars characters. This is a perfect time to book you Orlando Family Resort Vacation with us! 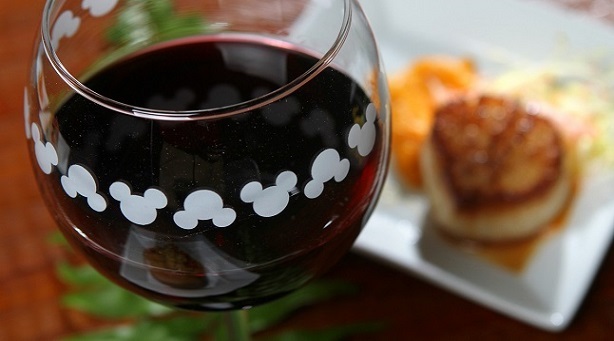 Every year in the fall (for 2014 - September 29 - November 10) Epcot has their annual International Food and Wine Festival. This celebration includes both free (with Epcot general admission) and ticket events in the park. These include wine/beverage tastings, food and wine pairings, special dinners, and culinary demonstrations. During the 6 week action packed event park guest can taste fine cuisine and wines from the top cities all around the world. Festival guest get to sample flavors of more than 26 international location destinations. Specialties run $2 to $9 each. Culinary demonstrations, hosting dinners, and tasting events are prepared by 270 different chefs from across the country. Visit on a weekday (Monday - Thursday) when it is not as busy as the weekends. The weekend tend to be busiest because more local visit the parks during that time. Arrive when the park open in the morning. That way you can hit all of your favorite spots for lunch. There are less crowds and the temperature is cooler. 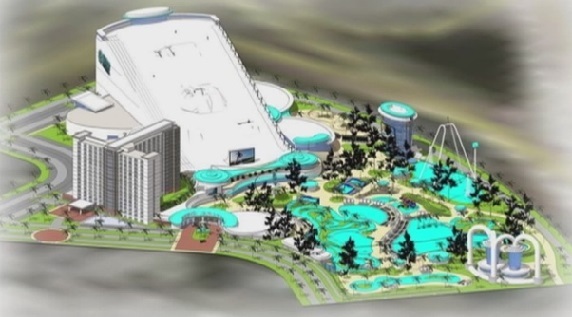 New to the Disney area in 2018 a company is proposing a $308 million action sports resort. This action sports and entertainment resort would be located right off of Highway 192 and will offer sports facilities and activities, a hotel, and on site restaurant. Plans include a 15 story snowboarding and ski mountain with many snow tubing trails, over 4 acres of surfing pools with up to 11 foot waves and boogie boarding pools, 26,000 square foot outdoor and indoor skateboarding park, 3 skydiving pods, a BMX race track, zip lining, 15 story water slides, interactive climbing and ropes course, snowball fighting arena, and a 21,000 square foot indoor dodge ball trampoline park and that's just the sports area. Other plans include a hotel with over 200 rooms, 2,100 seat amphitheater, roof top pools and bars, swimming pools, spa, retail stores, restaurants, and sports bars. This is a one of a kind attraction that will provide hands on experiences. There will be daily activities and competitions for visitors who like to compete. Make this a stop on your Orlando family resort vacation package in the future. First time at Disney World Orlando? We have a few tips to help you out. There is always someone visiting Disney World for the first time. With 6 different parks and many other activities available at the Walt Disney World Resort there is usually some confusion. Here is a list of tips that will help you make the best decisions on what you should do while visiting Disney World on your discounted family Disney vacation package. If you plan on visiting one of the restaurants on Disney property make sure to schedule your reservation about 6 months in advance if possible. These are a must see on your vacation which is why you need to book so far in advance. By using FastPass available with your ticket purchase you can make selections for rides that you would like to visit a month in advance. There is no charge for this amazing feature. Using the My Disney Experience app you can do many thing right from your phone or handheld tablet, such as restaurant reservations, FastPass selections, view ride wait times, and buy park tickets. Make sure when booking your Disney World vacation is avoid the busy times as much as possible. The busy times include spring break, summer break, Thanksgiving, and Christmas break. There is an options for Rider Switch Pass which allows one person to sit with someone who doesn’t want to ride while the others ride, once the others finish riding the one person who sat out may ride without having to wait through the regular line. Bringing pets along? Treat your pets while you’re at the park with Disney’s pet retreat the Best Friends Pet Care. This is the perfect place for your pet because pets are not allowed in the parks unless they’re service animals. 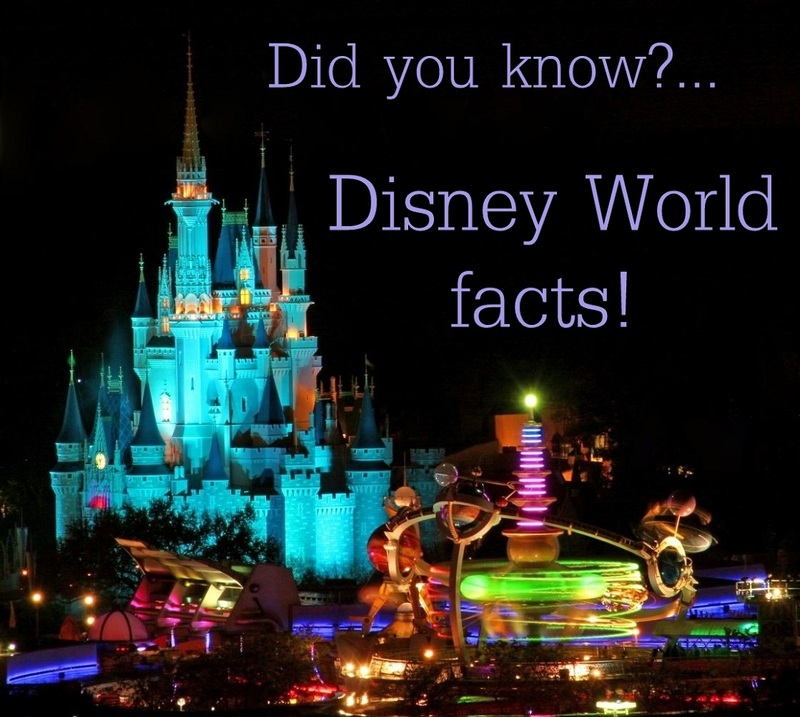 Disney World has more than 6,000 food items available in the parks and more than 470 different dining options.